Hello UESP readers, I am Xevins and I know y'all don't know me. That's alright though because I'm a thoroughly uninteresting person. QuakeCon 2018 has just ended and a lot of things have happened. The Legends Masters Series competition was played on Thursday and Friday. The keynote on Friday reannounced ESO: Wolfhunter (as of this writing it has just been released), dropped a trailer for ESO: Murkmire, and announced the Isle of Madness expansion to TES: Legends. Aside from the TES content, Quake got its obligated appearance at the keynote, and Doom: Eternal got a lot of gameplay. Oh and Todd showed up to grace our feeble minds. On Saturday a Q&A was held for Fallout 76. Your humble author unfortunately did not get to see the Masters Series (burn at the stake later). I did however get to play TES: Legends on the showfloor and get a look at the upcoming redesign of the UI. For starters the Demo was limited and I was only able to play a practice match. The gameplay itself remained unchanged but the menus were different. Many features were not simulated in the demo, so I couldn't enter the deck builder interface. No Isles of Madness content was in the demo so again I was not able to experience that. In the ESO department, they set up several stations where players could try out ESO: Summerset. These 'demos' were fully functional copies of the game with ESO: Morrowind and Summerset added to the demo accounts. There wasn't a stated time limit on playing this demo but folk were asked to move to let others play if a line ever formed. I didn't play for long but when I walked away they gave me a code for a Torchbug pet in ESO as well as a limited edition Summerset coin. The Torchbug was previously released to Twitch streamers as a giveaway item and was being released again for QuakeCon attendees. For Quake Champions there was a short line and guests were allowed to play a single game against each other and a few bots. The demo was a standard copy of the game with the champions pack purchased. I played on the Host computer so the demo staff instructed me to do a few things to set up the private match. The game was a full normal match with the bots set to Nightmare difficulty and nonetheless the bots played better than most guests. The account I played on had a few unlockable customizations in the form of a few weapon skins and it already had the special QuakeCon Machine Gun (though not last year's QuakeCon Lightning Gun). There was no playable Doom of any sort but there was also Prey: Mooncrash. Like the ESO demo this was fully playable and without a time limit (provided a line did not form). Not too much to say, if a line had not formed I probably would have run the whole DLC and forgotten the rest of the con. Alas a line did form and thus I did explore. In the back of the show floor was an area where third party companies set up presentations to show the guests. Alienware had a small storefront and an area to test its products. Behind it were several smaller PC customization groups. A few of those were raffling off computers they brought to the con. And now we turn to my personal experience at the QuakeCon ZOS meet & greet. So it started at 6:30 but I arrived at 6:00, my early arrival allowed me to chat up some staff members. It was mostly idle chatter, they asked what I liked about ESO and what-not. Soon we got word that the location had changed and we walked over to the proper venue. We moved to a bar one floor above the original location. When we arrived I saw Gina Bruno sitting near the entrance asking us to sign in. After signing in I was handed a second Torchbug code and a second Summerset coin. After sitting down for a short while, talking with some fellow fans of the game, a member of the Trials/Dungeons team for ESO came and started chatting. We talked abit about how we each enjoy playing the game, what item sets we like, and what our main characters were. He mentioned doing a lot of work on the item sets in ESO and that he had a good memory of them as a result. The conversation drifted into PVP and the employee suggested we start with the level 50 Non-CP campaign in Cyrodil. Soon after he left, an id Software employee came by to talk to us about playtesting for Zenimax (the publisher). We learned that Zenimax does a lot of its testing through id in Texas (rather convieniently where I live, I must say). So apparently they call you in (and they work around your schedule), and depending on how long the play session lasts, they may provide lunch or just snacks (either way I was already sold). They specifically mentioned ESO but I asked about other Zenimax games and was told that on the sign-up website I can select games and genres that pique my interest (after visiting this website I can confirm this is true). So after that conversation I walked around a bit making idle chatter with other players. Eventually I joined a conversation with a member of Bethesda Game Studios' marketing division named Ryan. We spoke for a long while and he mentioned things he likes about Elder Scrolls lore, the trips he does between the BGS office and the ZOS one, and other facets of his job. We used Mannimarco as an example of the kind of craziness that we enjoy in TES. The conversation drifted to what the marketing team does at BGS. He mentioned the Summerset coins we recieved and talked about how his team conceptualizes these to add value (while simultaneously working to make sure it doesn't cost too much). I made an offhand remark "But how does this coin affect the lore?" and he mentioned that Lawrence Schick wrote the words on the coin "From the Throne of Alinor Queen Ayrenn decrees welcome to Summerset children of Tamriel". So we had to ask what it was like to know Schick. Ryan described talking to Schick as a "religious experience". We mentioned stuff like a desire for Schick to do lorebook readings (Lusty Argonian Maid was a natural pick). We continued on a conversation that bounced between a lot of Zenimax titles, Prey and Fallout 76 were spoken about (We stayed on FO76 longer than the others). The event was winding down and other employees were telling Ryan he ought to get ready to go but the conversation was still rolling. My memory faded a bit since the event, so this last bit is sparce. I made an offhand remark about how I missed the Dragonborn costume in ESO because I recieved SSE for free as a result of already buying Skyrim: Legendary Edition. He suggested I write down my account name and email on a napkin so he could give it to Gina. As an extra nice thing he also suggested the other guys at the table write their details too so he could see about them getting them the costume as well (no one was keen to deny free stuff). The event rolled to its conclusion and we said our goodbyes. The others at my table returned to the con, but I was beat and tired, so I headed to my ride home. In conclusion, a fun and informative event being reported on by a guy with sparce (if any) journalistic skill. A couple of people at PAX East last weekend were asking about various UESP statistics so I thought it would be useful to make a post with some. This is the second and final part of my write-up of PAX East 2018. 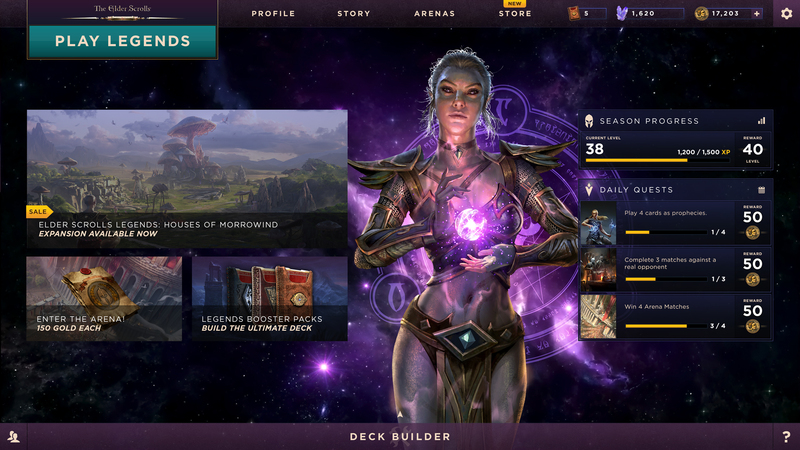 In part 1 - Thursday and Friday - I mentioned how I got a chance to have a casual chat with the creative director of the Elder Scrolls: Legends and try the demo of The Elder Scrolls Online: Summerset, and talk about the other non-ES-related things I saw there. The third day of PAX East was mostly Bethesda-focused for those of us from the UESP. It was the last day that most of us had badges for, though most of our day would be spent at the Bethesda Gameplay Day event, which was being held next door to the convention center. 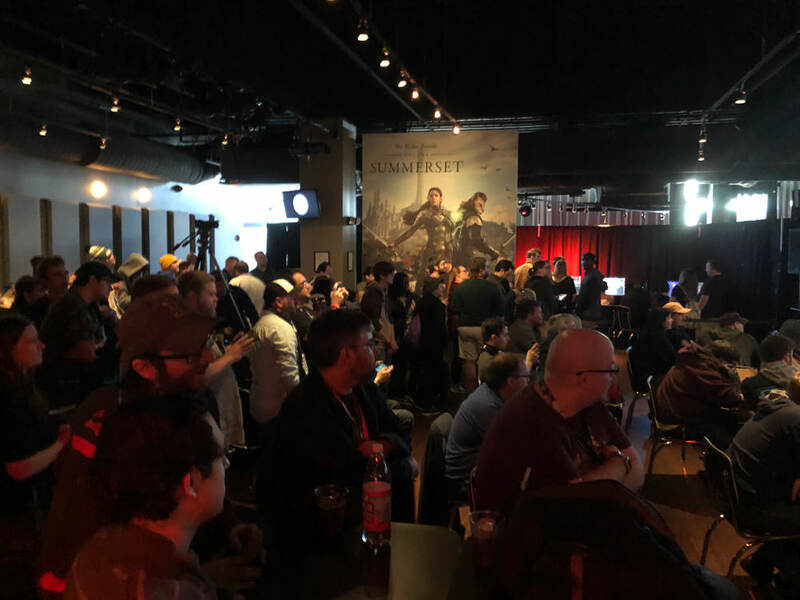 Be sure to check out our interview with Matt Firor and Rich Lambert that we conducted at this event; you can read it here.